Kids these days are busy. Many of us at Saturday Kids are parents ourselves, so we get that. 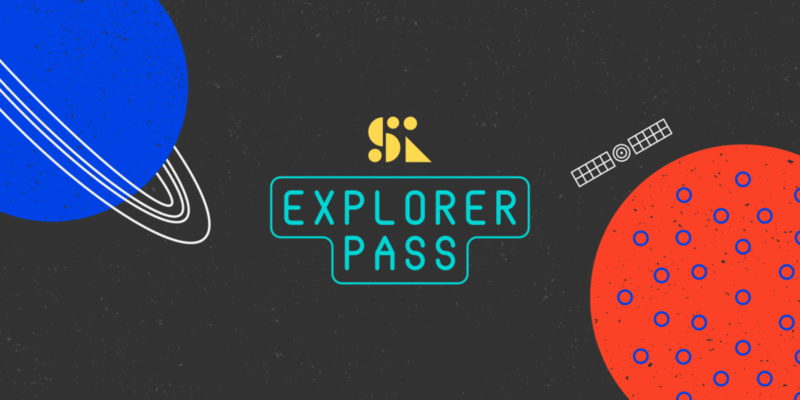 We believe that learning shouldn’t come at the expense of play, so we’ve designed Saturday Kids Explorer Pass, a flexible 2-hour drop-in option for kids 7-13 years old to take flight with their curiosity via self-directed learning and creative coding projects. At Saturday Kids, digital literacy has always been a means to an ends to equip kids to stand on their own two feet with the skills necessary to take on the world and make it a better place. As the experts at the World Economic Forum identified, there’s a real need for kids to develop ‘soft’ competencies like creativity and collaboration, as well as character qualities like curiosity, initiative, persistence and grit. With a foundation in introductory block-based programming language Scratch and an Explorer Pass, kids will learn that the sky is their limit; what matters is not what you know but how you learn. From programming their very own Chatbot, to building a Robo-Arm, and using code to make a rockband out of Scratch sprites. At the end of each 2-hour session, kids will not only have created a cool project they’ll be proud to call their own, but honed skills the world needs. We understand that not every kid is ready to commit to coding classes – or anything on a regular basis, for that matter. So we’ve designed Explorer Pass to be flexible enough for kids to dip their toes in the world of programming, as well as for the passionate kid coders who want an extra dose of the Saturday Kids magic beyond term-time classes and holiday camps, and everyone in between who is enthusiastic about what we do. To kick things off, take the chance from now till 15 April 2019 to give your kid the gift of discovery with a special launch promo of 50% off your first Explorer Pass trial class*. At Saturday Kids, we believe kids are already inventing the future – join us to explore what that could look like. *Launch promo only applicable for a child’s first session. Visit our terms and conditions page for more info.